We are hunting for the most adventurous and fun women Travellers out there who will like to join our women-only group to challenge themselves and climb Kilimanjaro in Tanzania. Eco-Africa Climbing is the among the among the local Kilimanjaro ethical climb operator who organizes and operates the women-only group to the Roof of Africa with the band name WOMENCLIMBKILI . We usually have 4 women only groups every year for women who wish to challenge and conquer the free-standing highest mountain in Africa. We have the group for women on International Women’s Day during March every year via Machame route, in July for Kili full moon via Lemosho route,in September for Kili full moon summit via Machame route and in December for New Year summit via Machame route. We specialize in a small group of women climb at a reasonable cost. Not a cheap Kilimanjaro climb, but a great value for everything you need to have a safe and successful experience. We have the best both female and male guides on the mountain, with high standards of safety and reliability. Maximum 30 ladies for International Women’s Day group and 15 ladies for both July, September and December groups. The US $2950 per lady for the Kilimanjaro Trek only during July 2019 Kili Full moon summit via Lemosho route. The US $2650 per lady for the Kilimanjaro Trek only during September 2019 Kili Full moon summit via Machame route. The US $2750 per lady for the Kilimanjaro Trek only during International Women’s Day group every March 2020 via Machame route. The US $3050 per lady for the Kilimanjaro Trek only during July 2020 Kili Full moon summit via Lemosho route. The US $2750 per lady for the Kilimanjaro Trek only during September 2020 Kili Full moon summit via Machame route. The US $2750 per lady for the 10 days Kilimanjaro Trek only during December 2020 New Year summit via Machame route. After every our Kilimanjaro Climb we have an extension of 4 days Serengeti Safari which cost the US $1800 per lady. Machame route for March and September and Lemosho route in July every year. For July group is 8 days trek via Lemosho route and 3 nights at the hotel (2 nights before the climb and 1 night after the climb). For September group is 7 days trek via Machame route and 3 nights at the hotel (2 nights before the climb and 1 night after the climb). For International Women’s Day is 7 days for trek the Machame route and 4 nights at the hotel (2 nights before the climb and 2 nights after the climb). For July group is 8 days trek via Lemosho route and 4 nights at the hotel (2 nights before the climb and 2 nights after the climb). For September group is 7 days trek via Machame route and 4 nights at the hotel (2 nights before the climb and 2 nights after the climb). 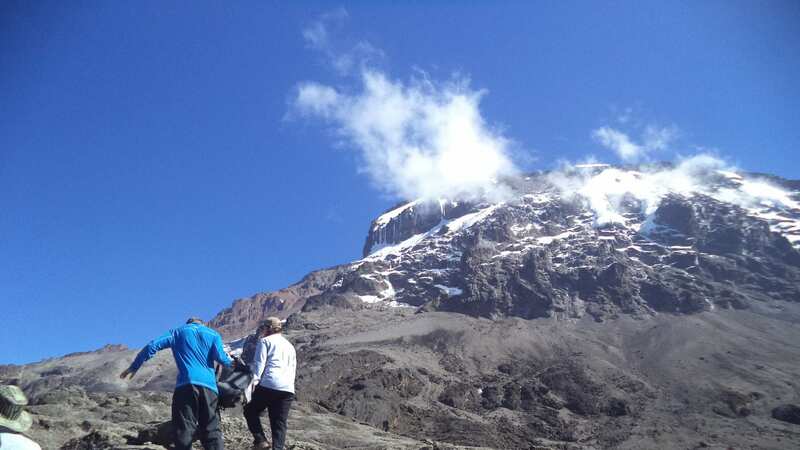 One of the most popular routes on Mount Kilimanjaro, and for good reason: the Machame Route scenery is amazing and summit success rates on the 7-day trek are over 90%! The trek begins at the Machame Gate, located at the southern base of the mountain, within its lush, fertile rainforest. The route heads toward the Shira Plateau, before circling along the southern circuit halfway around the mountain. The approach to the summit is made from the south-east, and the descent follows the Mweka trail. The Machame Route is approximately 62 km/ 37 miles from gate to gate. It is designed for physically fit people with some hiking experience. Lemosho follows the same route through Lava Tower, Barranco, and Barafu, known as the southern circuit. Descent is made via the Mweka route. Women around the World to join together for a once in a lifetime trek to scale Africa’s highest freestanding mountain “Kilimanjaro” via Lemosho route Kili moon summit July 2019. Women around the World to join together for a once in a lifetime trek to scale Africa’s highest freestanding mountain “Kilimanjaro” via Machame route Kili moon summit September 2019. Women around the World to join together for a once in a lifetime trek to scale Africa’s highest freestanding mountain “Kilimanjaro” via Machame route New Year summit December 2019. Women around the World to join together for a once in a lifetime trek to scale Africa’s highest freestanding mountain “Kilimanjaro” to Celebrate International Women Day and Summit on 8th March 2020. We are doing ethical climbs and responsible Trekking; we believe the tourism industry has an obligation and a great opportunity to protect the world‟s natural habitats, cultural heritage sites and communities. We actively promote environmental sustainability and social responsibility. We are not doing cheap Climb, cheap climb means we are doing tourism while exploiting our Porters who are the ones who make Kilimanjaro trek possible for the vast majority of climbers, and who do all the heavy lifting. Fair and ethical treatment of our porters (crew) is one of the important priorities of Eco-Africa Climbing when we do climb. Eco-Africa Climbing has begun the qualification process to become a Partner with the Kilimanjaro Porters Assistance Project (KPAP). Please contact (info@kiliporters.org) to confirm this. KPAP raises public awareness regarding the proper treatment of porters on Kilimanjaro and assists climbing companies with implementing procedures that ensure fair and ethical treatment of their porters. Every of our climb is audited by KPAP to ensure crewmembers are provided proper salaries, tips, food, equipment and sleeping conditions.